New York Giants Leaning Towards Taking Dwayne Haskins at No.6? 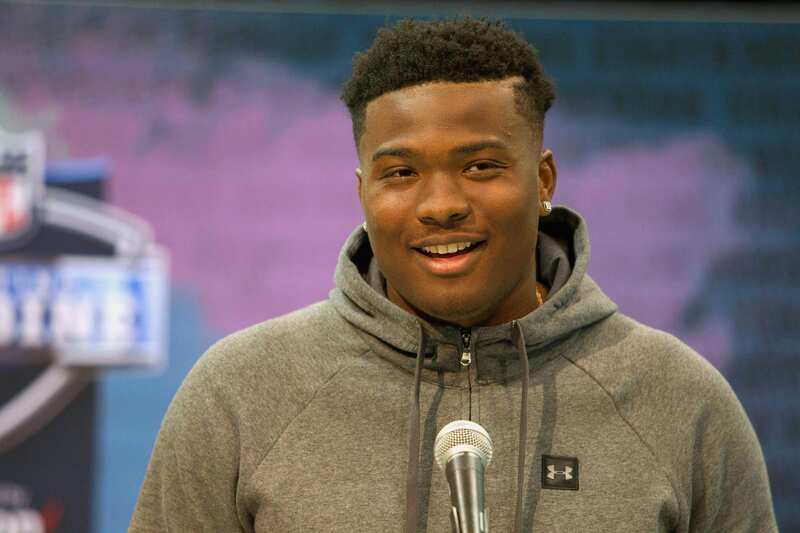 Home New York Giants New York Giants Leaning Towards Taking Dwayne Haskins at No.6? With Ohio State standout quarterback, Dwayne Haskins, enjoying his second interaction with the New York Giants, this time at their facility, the writing is on the wall. Haskins impressed in his first full season of action in 2018, recording 50 passing touchdowns and eight interceptions. He’s a pure pocket passer that has the ability to succeed Eli Manning after the 2019 season. If the Giants are considering taking the star passer with the No. 6 pick, they must also be considering Kyler Murray – dual-threat QB out of Oklahoma. Both Murray and Haskins present solid cases for a high draft pick, despite the latter’s draft stock reportedly slipping only a week and a half before the draft. Peter King stated last week that Haskins’ stock has dropped in recent weeks, potentially finishing as the 4th ranked signal caller in a weak 2019 crop. Of course, these reports could be smoke screens to deter other teams from taking him with a high pick, but King is a good source of information. Featuring Dwayne behind Manning for a season would allow him to refine his skills and gain experience at the NFL-level. Having only one full season of playing experience in college presents certain issues for Haskins as he prepared to take the jump to the professional stage. If Manning fails to perform at a high level, Haskins could be inserted earlier than expected. He has the tangible and intangible skills to be a plug and play passer. He showed a keen ability to learn quickly and progress as the season developed last year. The Giants might just be doing their due diligence on him with the late visit, but it could also indicate that he’s at the top of their draft board as his meeting is awfully close to draft day. “I’ve spoken frequently about what I think of Eli and how he handles himself, how he prepares, and, really, everything he does behind the scenes. There’s no question that the Giants should groom a prospect behind their two-time Super Bowl-winning veteran, it would be ludicrous not to, so I anticipate the team taking a quarterback in the first round. * Could even swap out Stidham and Hartrage for Jimmy Moreland and either Kyle Shurmur, Trace McSorley or Jacob Dolegala respectively. Any way you look at it, with the right picks – they have the chance to be a whole lot better than they were last year. Maybe Mr. Gettleman is smarter than some in the media give him credit for and he actually has a plan, and maybe it’s even a good plan.